Founded in 2015, the GeoEnergy Research Centre (GERC) is a £14 million pioneering joint venture co-established by the University of Nottingham and the British Geological Survey. The centre has strong international partnerships with Virginia Tech (US) and the China University of Mining and Technology. Our goal is to address the global energy trilemma of affordability, security and sustainability of energy supply. GERC will do this by focusing our combined capabilities to enable the sustainable and cost-effective use of geoenergy resources. We undertake joint research into subsurface energy processes for a range of geoenergy sectors specifically; areas of fluid-rock interactions, sensor development and demonstration of monitoring technologies. 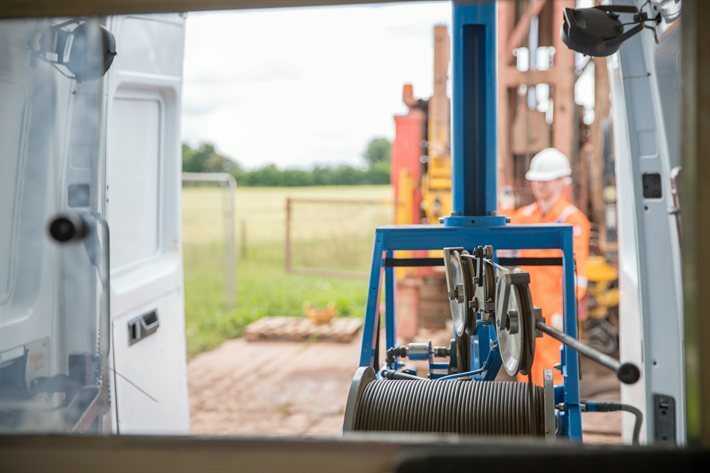 GERC has been instrumental in the development and drilling of the GeoEnergy Test Bed (GTB), an Energy Research Accelerator (ERA) facility at Nottingham’s Sutton Bonington campus. The GTB is designed for the testing and development of borehole sensor technologies, remote sensing technologies and fluid-flow simulation software. GERC Assistant Professor in Earth Observation, Dr Stephen Grebby, along with Dr Andy Sowter from Geomatic Ventures Ltd, who developed groundbreaking technology which was used to create the first country-wide land motion map of Scotland, have scored another first by creating a new UK-wide ground motion map. The new UK-wide map covers a two-year period from 2015 to 2017 and was created using an Intermittent Small Baseline Subset (ISBAS) analysis, a novel satellite remote sensing data processing algorithm. GERC Assistant Professor in Earth Observation, Dr Stephen Grebby, along with Dr Andy Sowter from Geomatic Ventures Ltd, have created the first detailed nationwide map of land motion and subsidence using a novel technique known as Intermittent Small Baseline (ISBAS) analysis. For the first time the map highlights quality responses from rural areas. The technology behind the map could help developers of energy and transport infrastructure.